We use cucumber, celery, garlic, jalapeno, cilantro, and purslane. The exact ingredients are totally flexible, as is the case with any vegetable drink. I do recommend the cucumber for its ability to hydrate without adding too much flavor from the drink. The flavor here comes from the garlic, jalapeño, and cilantro. In these quantities, they may grow hair on your chest and prevent cancer at the same time. Purslane is a “weed” that may be growing on your property but you can also find it in season at Mexican grocery stores. Read more about purslane. We like to freeze the cucumber and celery in advance so that they become the “ice” in the drink. Place ingredients in a blender. Blend until smooth. If drink is too thick, add cold water until it reaches the consistency you are looking for. 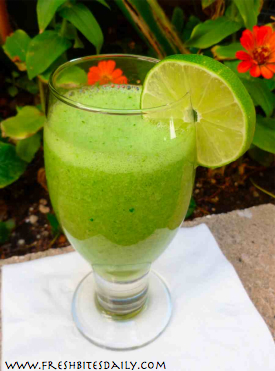 3 Comments on "Cucumber Purslane Slushie"
This is wonderful! Thanks! I used ice to blend it instead of the cold water so it was very refreshing with a tad of the heat. Cucumber is one of the fruits that I like and it is good to eat. But I’ve never made ​​a glass of cucumber juice.